When thinking about a website redesign, every business goes through the same fears and struggles of finding the real value of such initiative. It doesn't take as much time as you think - If client and agency/studio sides are both proactive, with a defined plan of development and implementation, a website should not take more than 3-6 months. Of course, it all depends on the complexity of the site. Once you have launched your new site, you won't need a redesign for at least 2 years. Your metrics will change - Because your website would use the most current design, user interface, technology and user experience your site performance should increase. This means that traffic, unique page views, time on page, and lead generation/conversion should be greater. When redesigning your website, make sure you consider what metrics you want to implement as new or change to increase performance. This will dictate in a big measure your design and user interface in general. You don't need to create a separate mobile (m.site) site - Google loves responsive design, and now that their new algorithm has been applied throughout the overall search engine, there is more reason for businesses of all sizes to get on board with this technology. With responsive websites you won't have to create a separate site for each platform or have separate URLs. Everything stays under one website, which makes it easier for the redesign and for any updates once the site has been launched. You don't need as much money as you think - One of the main reasons businesses end up spending so much money on websites is because they want things that they don't even need. Before you start the process of redesign, identify your audiences behavior, wants and needs. This will allow you to recognize what is and what isn't working on your current website as well as to what needs to be added. You don't need to do it alone - A website redesign can be a daunting task. Consider outsourcing the project to an expert team. Try to avoid the involvement of family members or too many executives. Remember, you don't want too many cooks in the kitchen. Try to assign a contact person and a small comittee if necessary. The more people involved the longest the process will take. 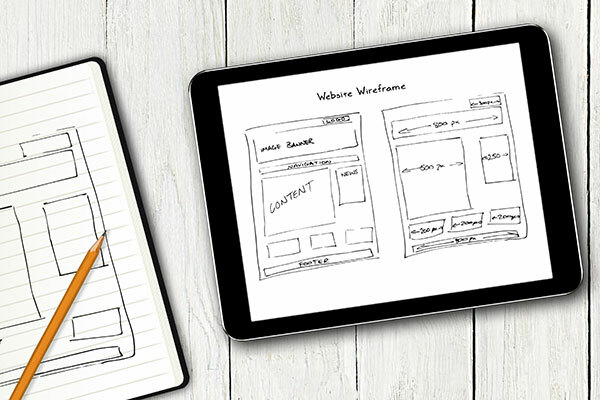 >> Learn what you need to have in mind when redesigning your website. Download our 11-Step Checklist For Your Next Website Redesign. If you're ready to redesign your website, make sure that you have a clear and concise purpose, smart and relevant content, updated and current technology, and user-friendly interface and experience.